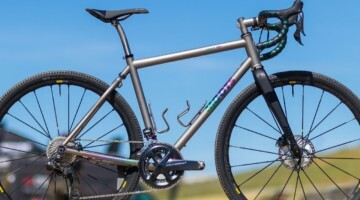 You tired of geeking out on cyclocross and gravel tires? 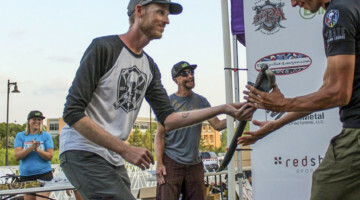 We hope not because we’re just starting to make a dent in all the cyclocross tire news we gathered at Frost Bike 2014. 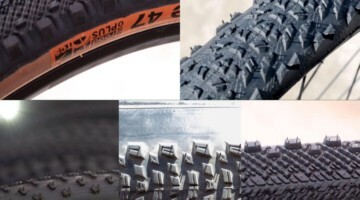 We’ve already seen the new Nano 40c gravel tire from WTB, a new tubeless option in the form of the Maxxis Mud Wrestler, and Clement’s variety of X’Plor gravel tires, and today we’re taking a look at some of the new production and prototype tires developed by Challenge Tires. 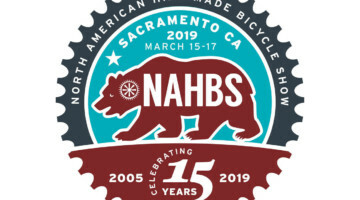 Challenge, like many other tire companies, is eyeing the gravel segment, and offers the 30c Almanzo gravel tire as an attractive option for gravel racing. 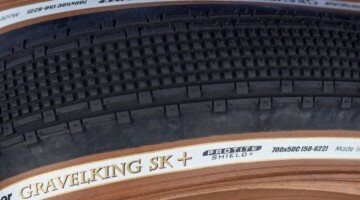 The tire comes in a 260tpi casing and with Challenge Tire’s PPS-2 puncture protection strip. 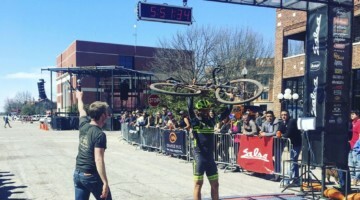 But Challenge isn’t relying on just the Almanzo to meet every gravel rider’s needs, and showed off the prototype gravel/cyclocross tire above. 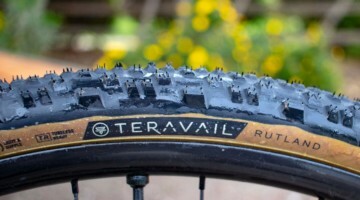 At first glance, it looks like a Chicane cyclocross tire, but it’s much bigger at 36mm. 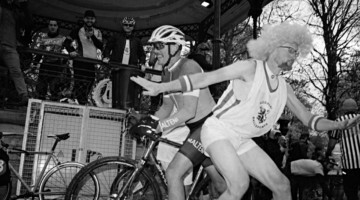 Sure, that’s not legal for UCI cyclocross races, but how many paying customers race UCI races? 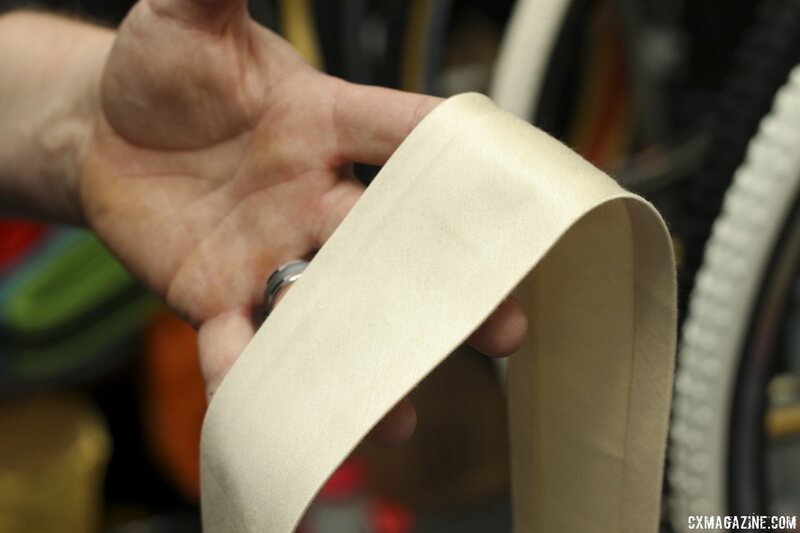 We think it’d be a great option for bumpy courses or for larger riders. 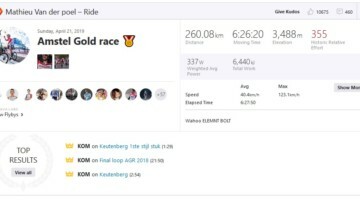 Release it, Challenge! Big guys will thank you. 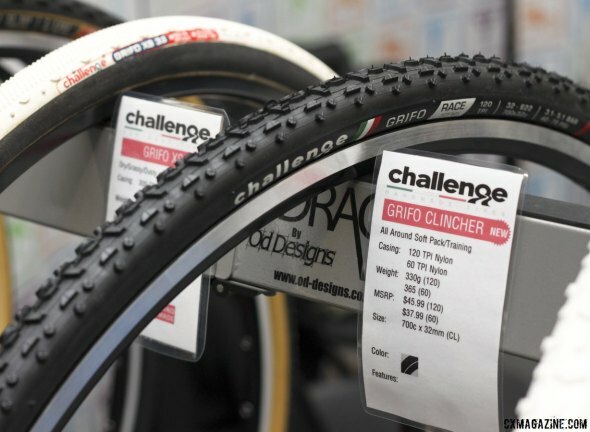 Race on Grifo tubulars and want to train on the same tread? 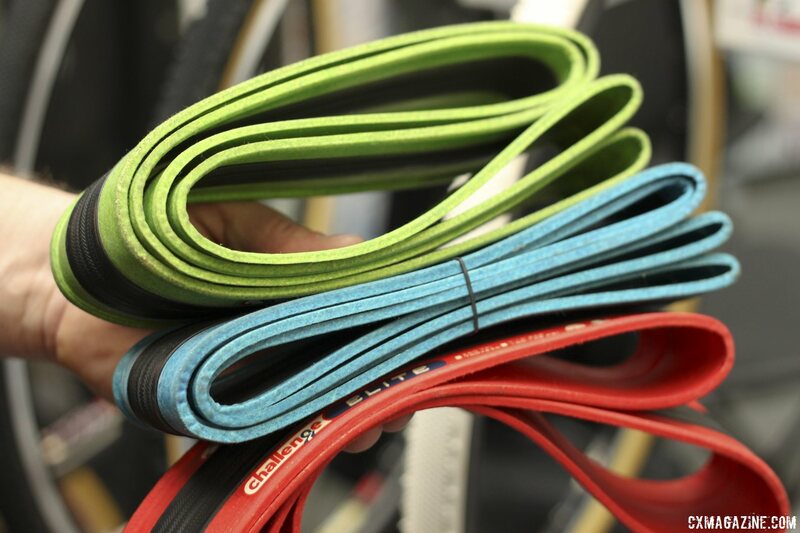 Grifo offers its open tubular (clincher) version of its tubulars, but also offers nylon versions for the more cost-conscious racer. 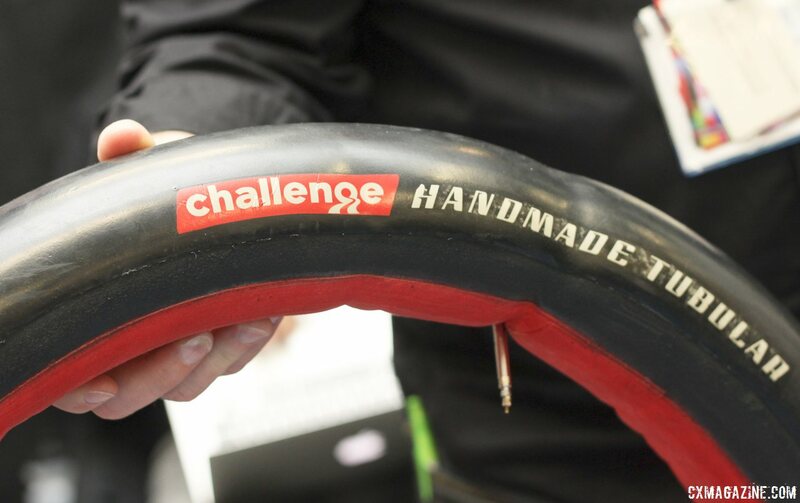 Challenge showcased its new 32c Grifo Race nylon clinchers, replacing the Grifo Pro tires. 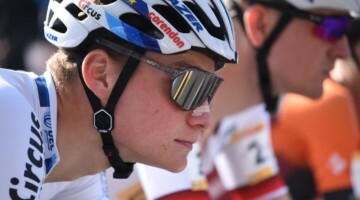 The Race is available in two different casings with a 60 tpi version and a 120 tpi version. The 120 tpi version is relatively light at 330g, and will retail for $45.99. The 60 tpi version gains 35g but retails for $8 less. The additional $8 for the 120 tpi version is a bargain for weight weenies observing the dollar-per-gram benchmark. 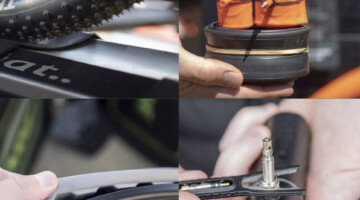 The nylon tires may also be more viable options for someone wanting to try a tubeless conversion with a Challenge tire, but we have not tested them set up tubeless yet. 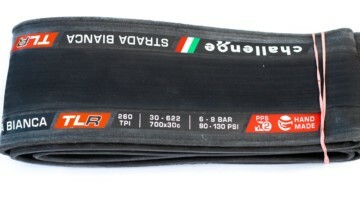 We do wish the nylon Grifo clinchers should be wider however, or have a wider option, since we can guarantee every nylon clincher user won’t be racing UCI events and need not worry about the 33mm UCI maximum width, and the extra width will result in better pinch flat resistance and lower rolling resistance because of lower pressures. 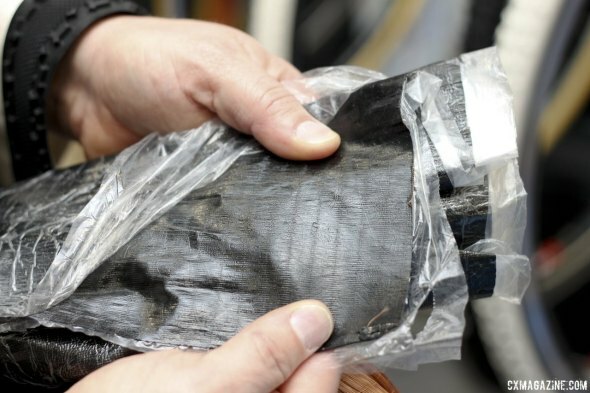 Challenge was taking the time to show bike shops and journalists the difference between its handmade open tubulars and typical nylon vulcanized clinchers, and was contrasting the relatively stiff, vulcanized rubber nylon casing (above) with its polyester fabric used in the open tubulars (below). 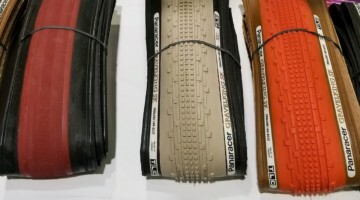 Prefer colorful tires instead of the iconic yellow/tan sidewalls of Challenge Tires? 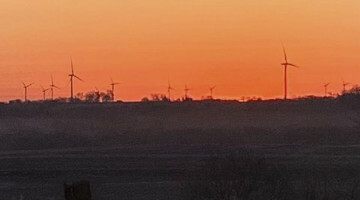 Challenge was also showing off its color capabilities. The green, blue and red tires below are not production models but showcase the company’s capabilities and hint at where it’s looking for new product opportunities. 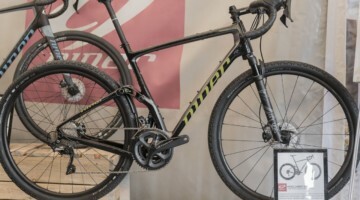 See more cyclocross tires, bikes and other goodies from Frost Bike 2014 in our ever-growing coverage. 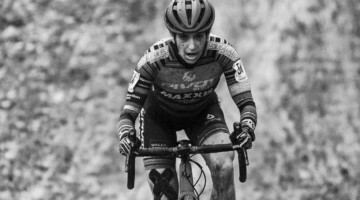 The 33 Chicane has worked well for me and a 36 version could be even better for mountain cross riding, mixed surface events/races, and even regular (non-uci) cross races that are rough but fast! 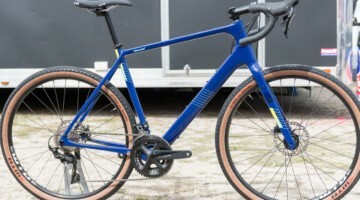 cyclocross ChallengeTires Is 36mm a little too wide for gravel grinders? I would think something in the range of 28mm would be best? 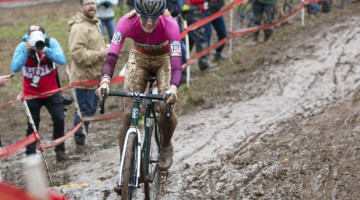 HandDowns cyclocross depends on what “gravel” means in your area. Covers a lot of needs that require different setups. 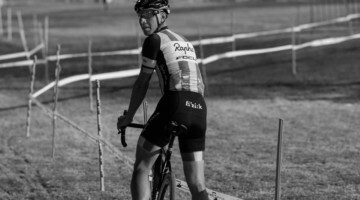 @HandDowns cyclocrossChallengeTiresdepends on the bike too. Loose gravel is best on wider tires. However, somebody needs to release a gravel tread in a 28 – agreed! 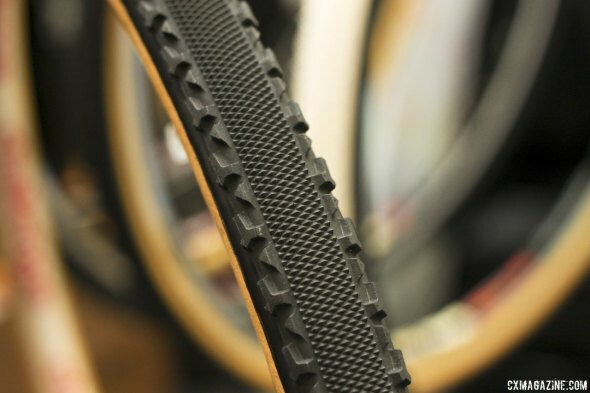 I would love to be able to ride my road bike in some gravel stuff and the lack of real tread in this size is a huge handicap. 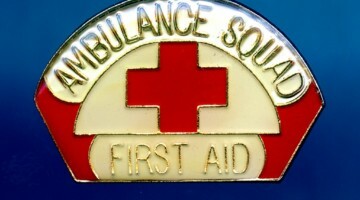 20 years ago they existed, why not now?? ?